Want to find out more about Paws for Beer? Well, you have come to the right spot! My name is Brittany and I live in a small town in Northern Idaho. My small town roots have kept me in the same town I grew up in, but that does not keep me from traveling! I may not have made the leap to traveling abroad yet, but I find traveling around Canada, Mexico and my home country, The United States, have all given me amazing travel experiences. I traveled with friends and family most of my life but decided to take a different leap in 2012 and began traveling solo. I was not technically solo however as my dog, Boomer, traveled along with me. He’s cute, right? 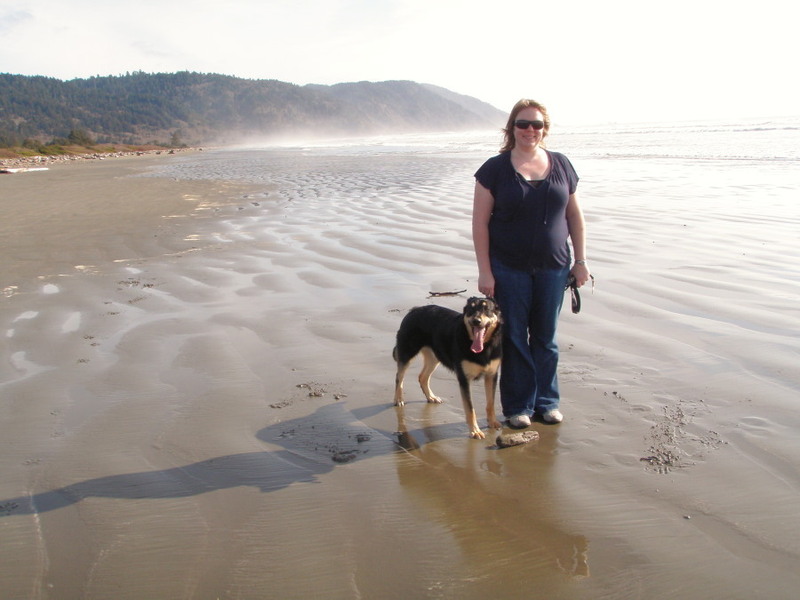 I have a passion for traveling, dogs, and beer… so why not include them all in one spot? And that is how Paws for Beer started. Here at Paws for Beer, you will find travel stories, travel tips, including traveling with dogs and under the “all things beer” category my newest hobby, homebrewing my own beer as well as cooking and baking with beer recipes. Follow along with us as we explore traveling with a dog while we seek out great beer and adventure. Sign up for our RSS feed, or find us on Facebook, Twitter or Instagram to keep up to date with what we are up to and what amazing beer we have found! Brittany did not have running water or a telephone until she was 8 years old. Boomer was dropped off at the animal shelter in the middle of the night at 2 months old. Brittany is an only child. Boomer was the only pup in his litter to be multicolored (his sisters were all black). Brittany’s preferred method of travel is by car. Boomer loves to go for car rides. Brittany loves beer. Duh :-). Boomer loves peanut butter, carrots, and lettuce. Brittany’s travel plans always start with brewery locations and then she builds the trip around those locations. Boomer is afraid of the dark. Brittany becomes afraid of the dark when Boomer freaks her out because it is dark. Boomer loves swimming and playing fetch, especially while swimming. Brittany was on the swim team while growing up but rarely swims as an adult (someone has to throw the ball for Boomer). Boomer and Brittany both have a scar on their left eyebrow, however, neither one of them caused the scar to the other one! Boomer and Brittany can both agree Boomer is awesome! Jovi, our new traveling dog! In 2016 we added a new addition to our traveling family, Jovi, a rescue dog from Wyoming. Jovi has quickly cut her chops on the traveling lifestyle we lead. As of June 2016 Jovi has already visited 9 states in the 5 short months that we have had her. We think that is pretty impressive! With the addition of Jovi, our blog is now known as the adventures of a girl and her dogs! 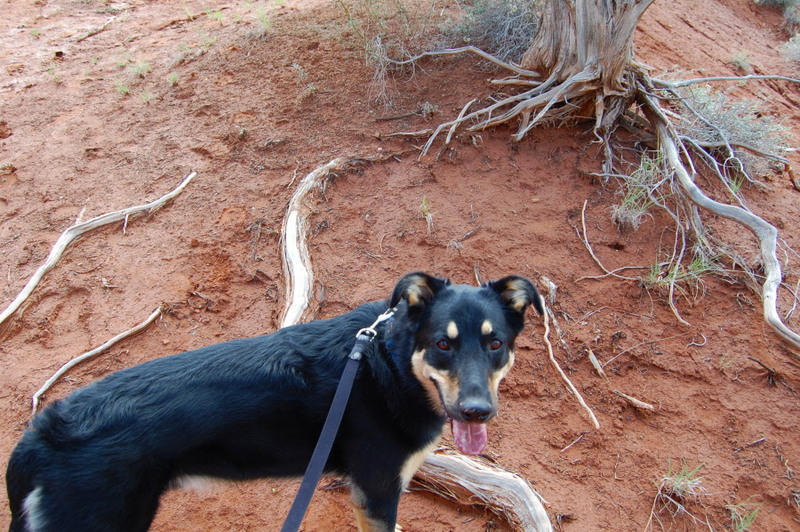 Jovi came from a small town near Jackson Wyoming. Jovi loves playing in the snow. Jovi’s name may or may not have been one of the reasons Brittany, a huge Jon Bon Jovi fan, adopted her. Jovi’s favorite Bon Jovi song is Wanted Dead Or Alive. It is a song about being on the road. OK, it’s really Brittany’s favorite song but we are sure Jovi loves it too! How could she not? It’s a great song. Jovi loves to be told several times a day that she is pretty. Jovi has a checkered past including some missing teeth and a short and crooked tail. She doesn’t let her past get her down though. Jovi wags her tail in an up and down motion, never side to side. Brittany assumes it has something to do with her tail being broken at one point, but it is adorable nonetheless. Jovi does not like to be hugged. She will spring out of your arms to get away. Jovi does like to give kisses and gives them often to anyone near her! Jovi is a scavenger and that often gets her into mischief. Jovi loves her brother, Boomer, and for that Brittany is grateful to have two dogs who get along and love each other just as much as Brittany loves both of them! Why Boomer May Be The Best Dog Ever! This is great Brittany! When I feel the travel itch I will visit your blog and live vicariously though an adventure or two until I can do some of my own. We are hoping to make it to Costa Rica this summer, it has been snowing here, have I mentioned that its April as well? We are expecting another 6-9 inches by tomorrow…. Can’t freakin wait until the summer! I bet Summer can’t come fast enough! I saw the weather today for your area – it does not look fun. It is another rainy April here – hopefully summer will come quickly for both of us. I’ll think about adding a “observations of odd people” tab – my neighbors keep me pretty entertained – of course I’m sure I do the same for them! One more thing, I know this is a travel blog but I about died laughing when you posted about the fat kid in pink sparkle pants on Facebook. Perhaps you could add a tab to your blog dedicated to writing about that sort of thing? You know could make fun irritating people or children. I’d totally read that!